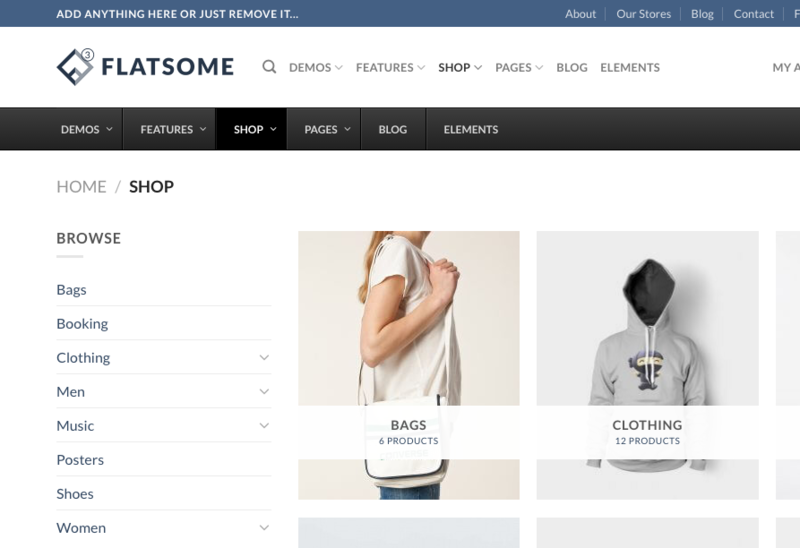 Flatsome 3.0 now has automatic UberMenu integration. By default the UberMenu is added to the bottom of the header. You can disable this in Flatsome → Advanced → Integrations if you want to use a custom position of the menu instead. You can remove the " Main Menu" element from the Header Builder if want to use the built-in UberMenu integration. Go to Theme Options → Header to open the Header Builder. Just drag the "Main Menu" element to the "Not in use" bar. You can also remove the "Nav Icon" from the mobile header since UberMenu has built-in mobile navigation.